VPNs are a must-have for protecting your data online, but too many bog you down with clunky interfaces, bandwidth restrictions, and shady logging policies. Not VPNAUS, though. With a user-friendly client and zero browsing logs and limits, this Australian-based VPN makes safeguarding your data an absolute cinch! 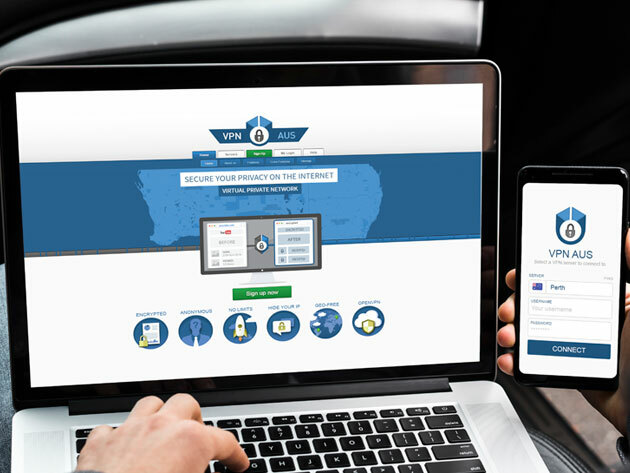 VPNAUS masks your browsing movements with 128-bit encryption keys, so you can surf under the radar, ignore geo-restrictions, and browse with peace of mind locally in Australia or internationally, no matter which country, state or city you are in.